Welcome to the Seattle Soccer Referee Association. 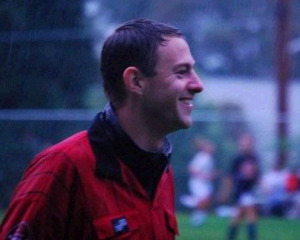 We provide licensed referees to matches in the general vicinity of Seattle, Washington. If you'd like a little more background information about us, check out the Information segment of our Site. If you are a new referee, or are new to Seattle, Register Here. The Laws of the Game and the US Soccer Referee Program are helpful resources for Referees, Coaches, Players and Spectators. Please see the Professional Referee Organization for current MLS assignments and useful analysis of the game and current issues. Finally, please see FIFA for general information about the game in its international context. Did you show a yellow or red card? Be sure to file a correct and accurate report. See this document for advice on constructing your report.